A Whitley Bay woman plays the leading role in a production of My Fair Lady at the Tyne Theatre this month. Lucy Sutton is a drama and theatre teacher at Cramlington Learning Village, and will play Eliza Doolittle with West End Operatic Society Musical Productions when they perform from Tuesday, April 9, to Saturday, April 13. Eliza Doolittle is a young flower seller with an unmistakable cockney accent, which keeps her in the lower rungs of Edwardian Society. When Professor Henry Higgins tries to teach her to speak like a lady, an unlikely friendship begins to flourish. 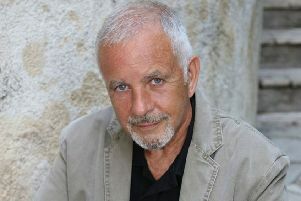 David Rawlings, who also lives at Whitley Bay, plays the role of Colonel Pickering. David has been involved in amateur musical theatre for 45 years, bringing his wealth of experience to the part. This production will be shown nightly at 7pm, with matinees on Thursday and Saturday at 2pm. It will feature songs such as Wouldn’t it Be Loverly, With a Little Bit of Luck, The Rain in Spain, On the Street Where You Live, I Could Have Danced all Night, I’ve Grown Accustomed to Her Face and more. For more information ab- out the production or to book your seats, visit the Tyne Theatre website at www. tynetheatreandoperahouse.uk or call 0844 2491000.